I originally made this recipe a few years ago when I was prepping recipes for some farmer friends to have in their freezer during the busy harvest season. They loved how easy it was to prepare, and even claimed it to be their favorite recipe out of everything I made for them that year! Since then, I’ve made it a few different times for various occasions. It’s so quick to prepare ahead of time, and it works really well for spur of the moment guests or when you aren’t sure until the last minute how many guests you’ll be serving. Pair it with these super popular Individual Mini Meat Lasagnas for a great make-ahead meal for the freezer! 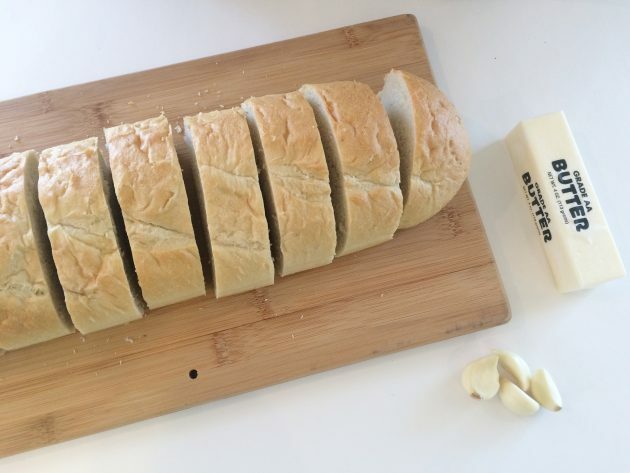 Thickly slice bread into 1-1/2-inch slices. Mix remaining ingredients together in a small bowl. 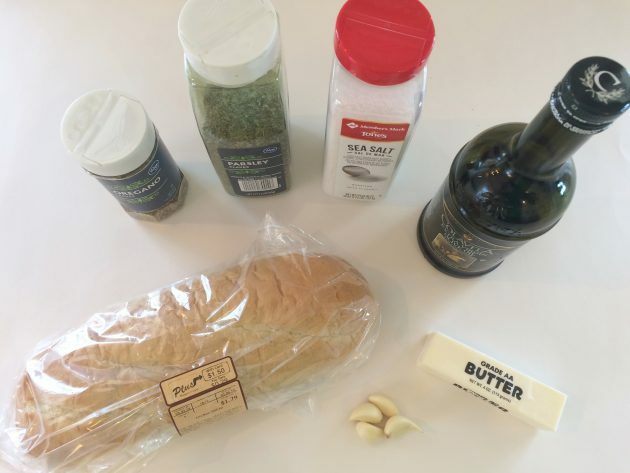 Brush butter mixture evenly on both sides of bread. Lay bread flat on foil-lined cookie sheets and freeze for 2-3 hours. 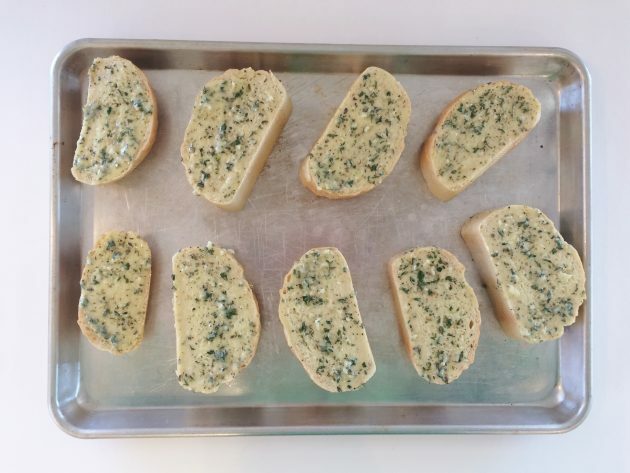 Peel bread off of foil, place in freezer bags, and freeze for up to 3 months. To prepare: Preheat oven to 400 degrees. 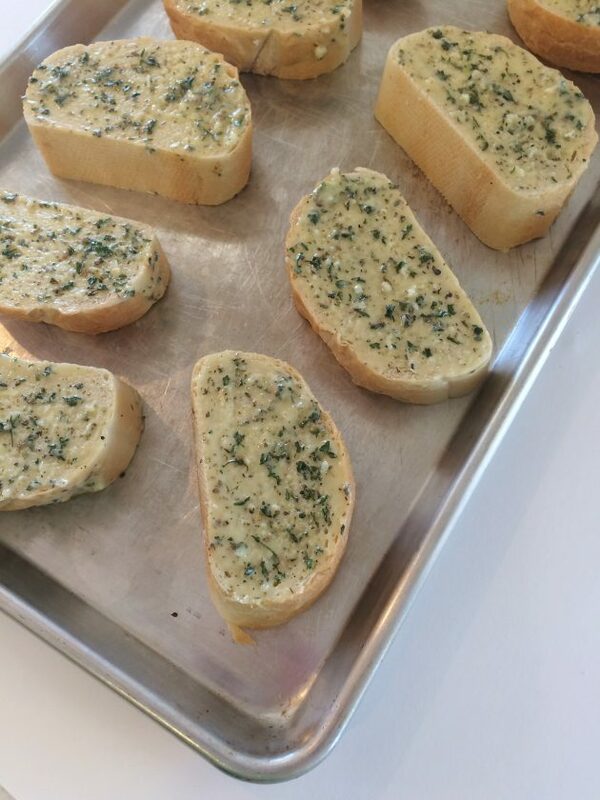 Place slice(s) of frozen bread on cookie sheet(s), and bake for 10-12 minutes or until golden brown in color. Serve immediately. 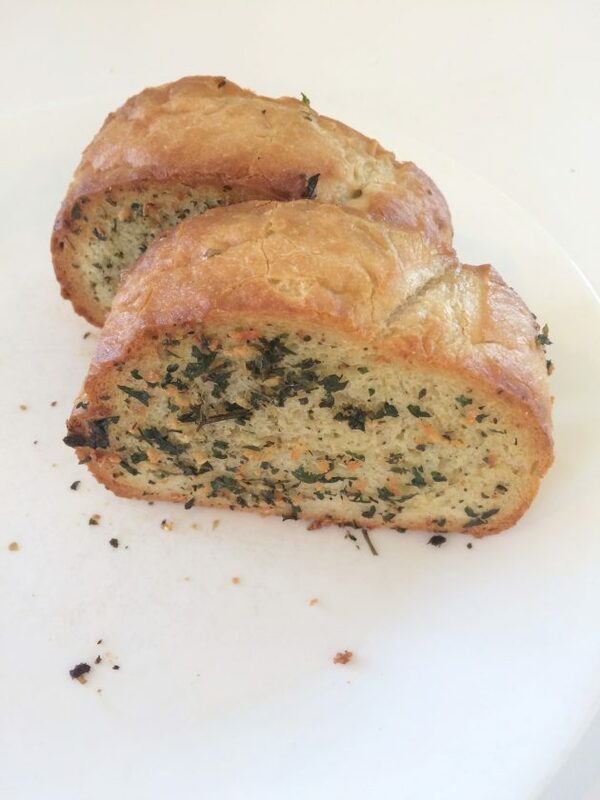 Looking for more delicious bread recipes? Olivia is a music teacher, graphic designer, and event organizer. She loves hospitality, ministering to the elderly, reaching out to international students, playing harp gigs, adding beauty to everyday life, and experimenting with recipes in the kitchen. Her greatest joy in life come from knowing God and growing in her relationship with Him. Looking for more? Read more posts about Freezer-Friendly & Recipes. 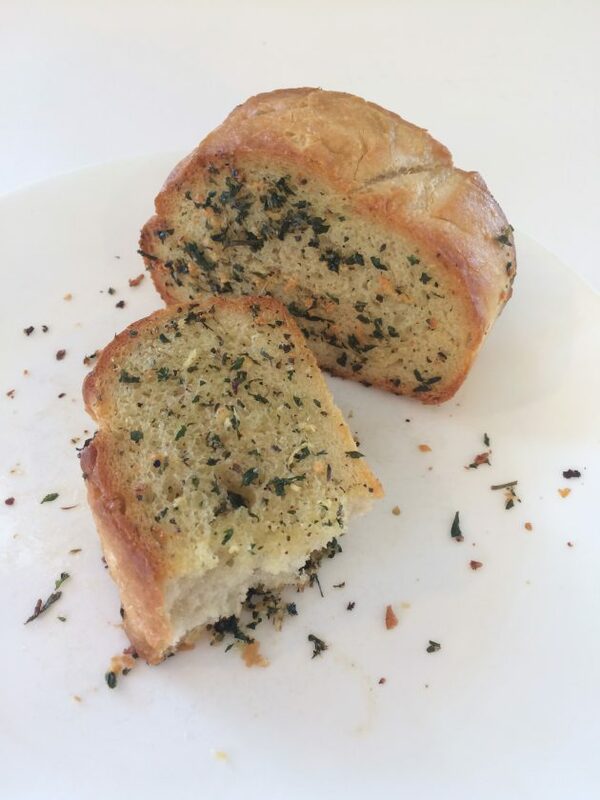 Why not use Italian bread?